1. Bake, broil, grill or poach salmon. 3. Strain the pasta, rinse with cold water to stop cooking process. 4. Break up the salmon into large bite sized pieces, carefully removing skin and any bones. 5. 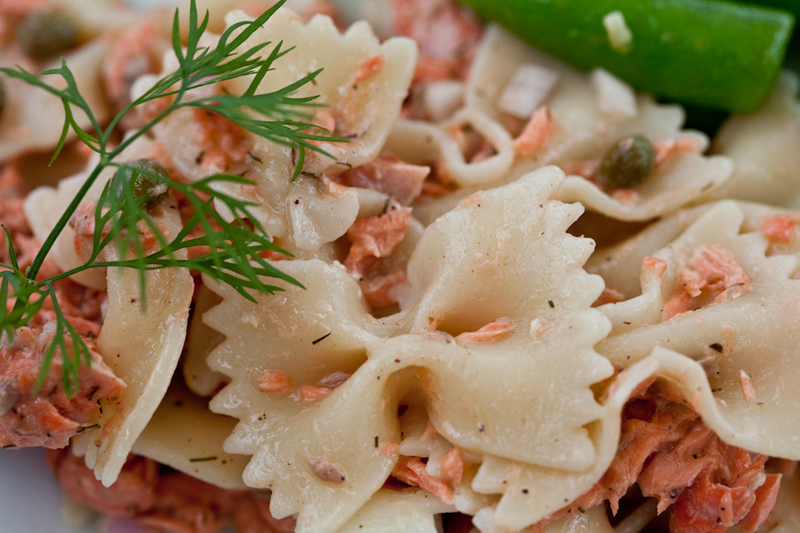 Place the pasta, salmon, capers and red onion in a large bowl. 6. Toss generously with Dulcet Lemon Mustard & Dill Sauce, taking care to not break up the salmon pieces. 7. Season with salt and freshly ground pepper.